Application are invited for Assistant professor (Psychology). 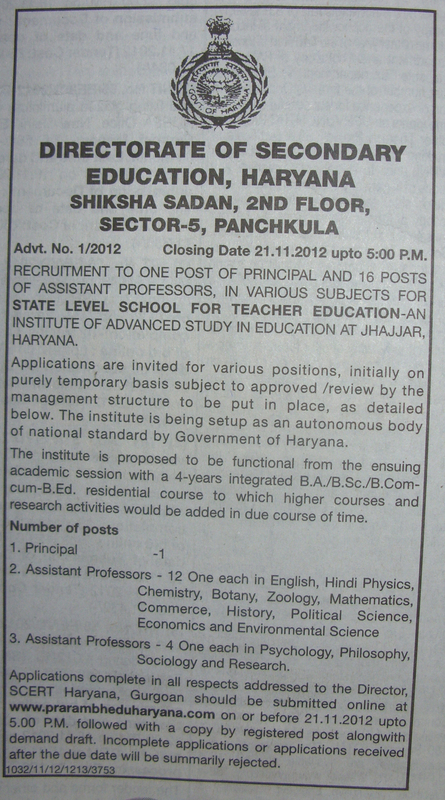 The institute is being setup as an autonomous body of national standard by government of Haryana. This entry was posted in Uncategorized on November 6, 2012 by epsychology.